Combine sherry, bourbon, Syrup, pineapple, and lemon juice in a shaker. Shake vigorously to combine, and then strain into a collins glass filled with ice cubes. 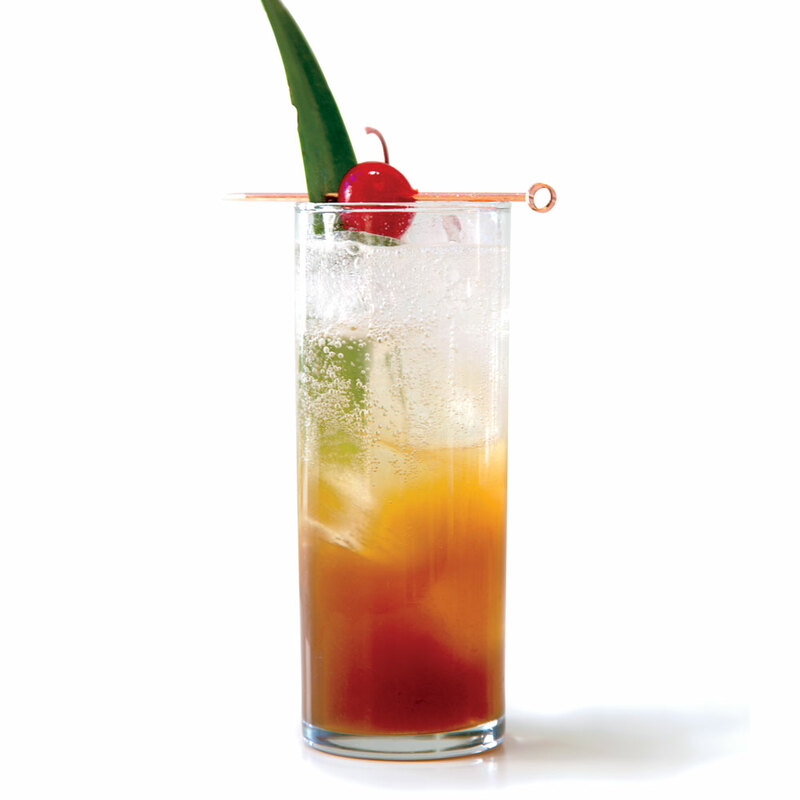 Top with soda water, and garnish with cherry and pineapple frond, if using.